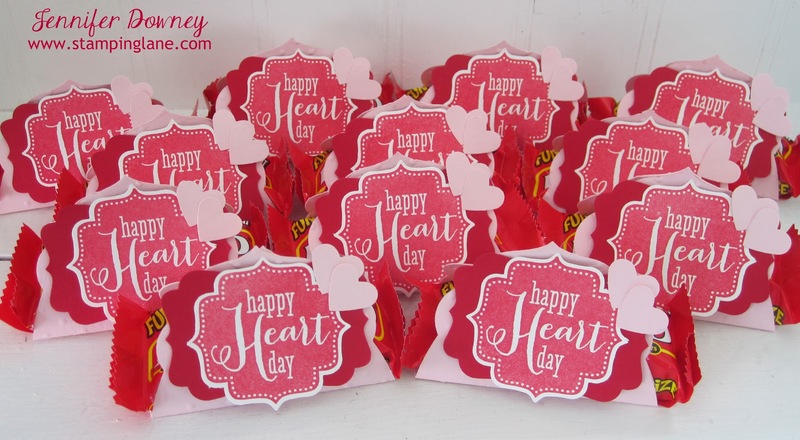 Thought I would share some fun treats I made for some very special people. These were inspired by Connie S. (Thank you for sharing your talent Connie!) I took the largest framelit from the Apothecary Framelits and scored two lines, one on either side of the width of the candy bar. In this case, a 100 Grand Bar; because the recipients are worth more than that to me! *smile* I then folded up the framelit and stapled it shut. Added some stamped and punched pieces to cover the staple and voila! 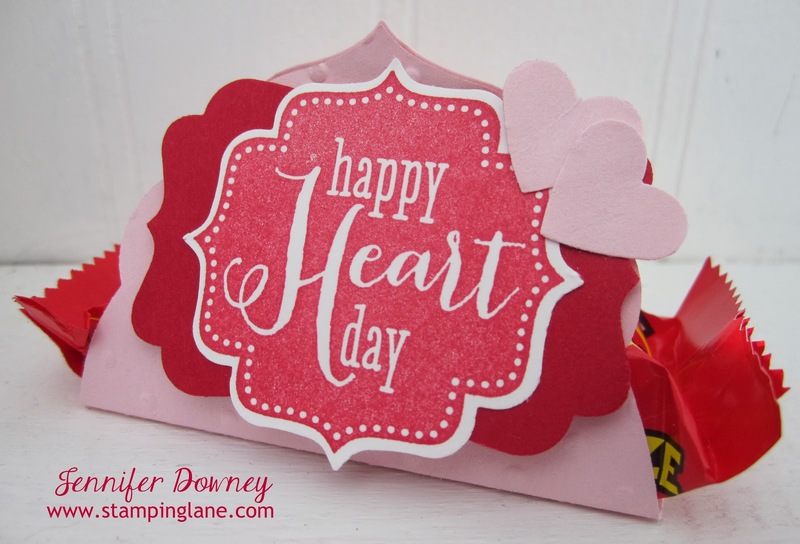 Simple, but heartfelt treats! It's a little hard to tell but before I scored the framelit, I embossed it with the Polka Dot Embossing Folder to give it a little texture. I had fun making these treats! Have you given someone special a treat lately? Happy Stamping!